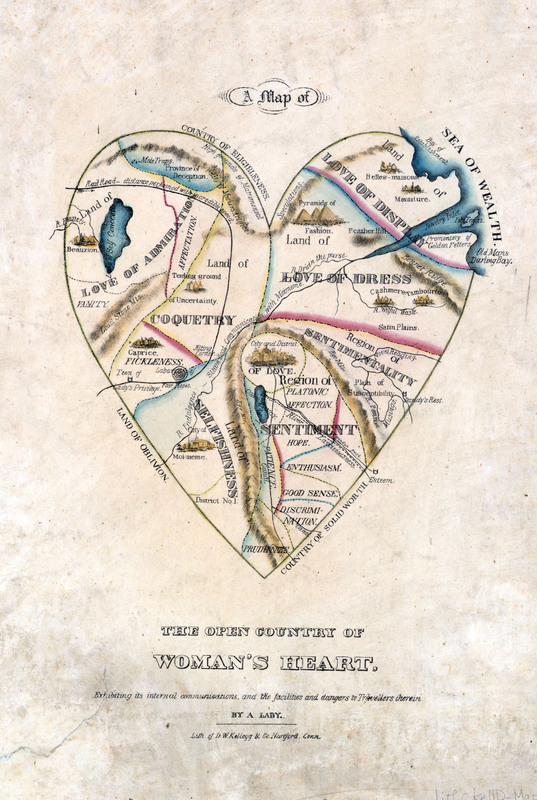 With Valentine's day not such a distant memory- I wanted to share this crazy illustration "The Open Country of A Woman's Heart," dating from 1833-1842 by "A Lady" or more likely, a man. Note the Satin Plains in the large Love of Dress region split by the Jewelry Inlet.... Also fond of the rivers of Willful Waste, Novel Reading and Pensive Musings. I guess we should be glad it's not a map of the brain?